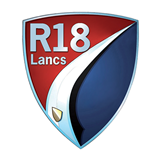 The Lancashire Region (R18) covers a large geographic area and meets once a month at Garstang Golf & Country Club on the 3rd Wednesday of the month, starting at 19.45 where around 40 members regularly attend. Garstang Golf Club is about 5 miles north of Preston just off the A6. Partners are very welcome and often at these meetings we have a speaker or hold a quiz or run a fun event. In addition to our monthly meeting we have an extensive calendar of events including attendance at various Classic Car Shows throughout the Region as well as group drives and lunches. We hold joint meetings with other motor clubs and often join other adjacent Regions in the North West. We aim to keep members in the Region updated through our monthly email newsletter as well as provide regular updates on our Forum and Facebook Page.